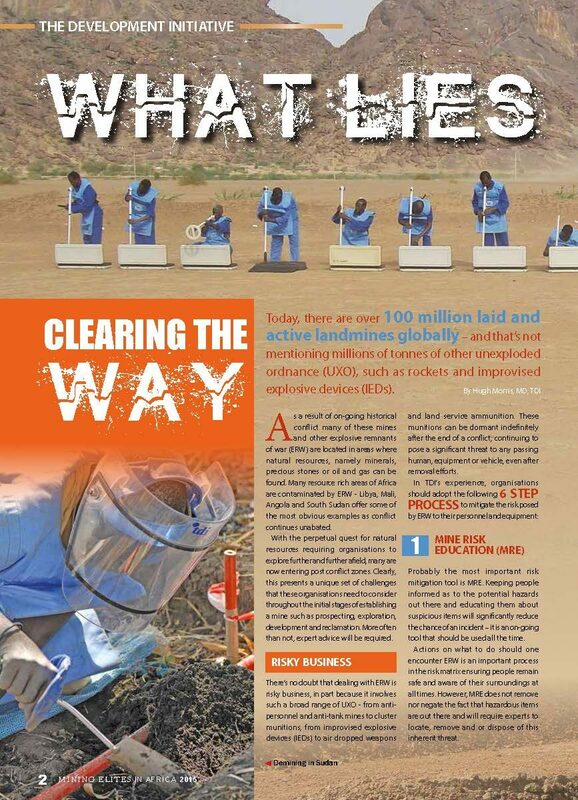 Today, there are over 100 million laid and active landmines globally – and that’s not mentioning millions of tonnes of other unexploded ordnance (UXO), such as rockets and improvised explosive devices (IEDs). Of course, as a result of ongoing and historical conflict many of these mines and other ERW are located in areas where natural resources, namely minerals, precious stones or oil and gas can be found. For example, many resource rich areas of Africa are contaminated by ERW, with Libya, Mali, Angola and South Sudan offering some of the most obvious examples as conflict continues unabated.